R/GA considers the Internet a connected world that demands a different kind of design then offline venues like television, radio, and theater. It demands a different kind of video production. While R/GA began during a time when the Internet wasn't as prominent, it truly came into its own when the Internet was brought into the mix. Their specialty is motion graphics and video production, so it's no surprise that they work in films and commercials. However, they bring this expertise to web design as well and can use video production to enhance any website. 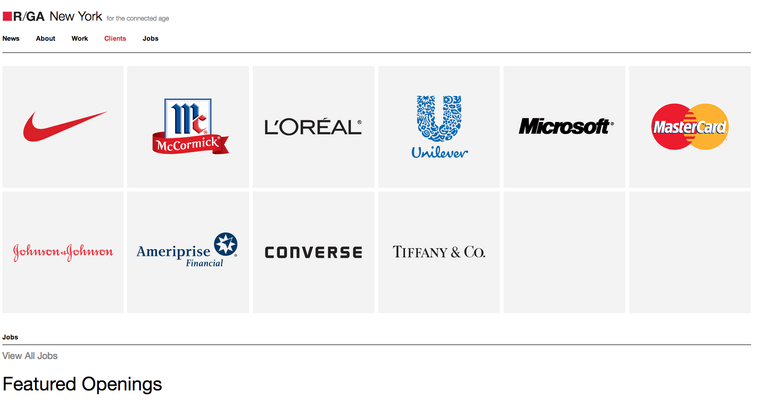 Over their lifetime, R/GA has produced a staggering 4,000 commercials and 400 feature films. It's not just quantity, though. 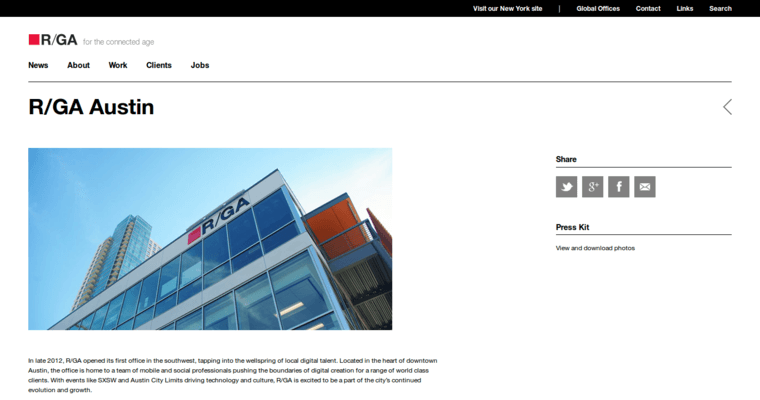 R/GA wins awards for the work is does in web design, too. They bring their expert video production skills and take websites to a whole new level each time they tackle a project.